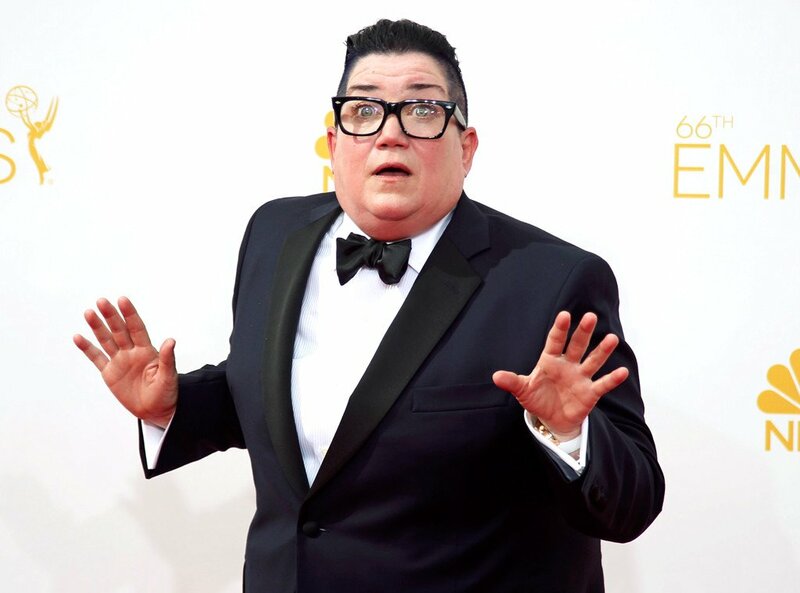 Lea DeLaria wore a simply gorgeous, head-turning tuxedo and shirt by Saint Harridan to the 66th Emmy awards last night, showing the world just how swag butches are and why so many of us fawn over them! Lea with OITNB co-star, Yael Stone. Image via Passage Bird.